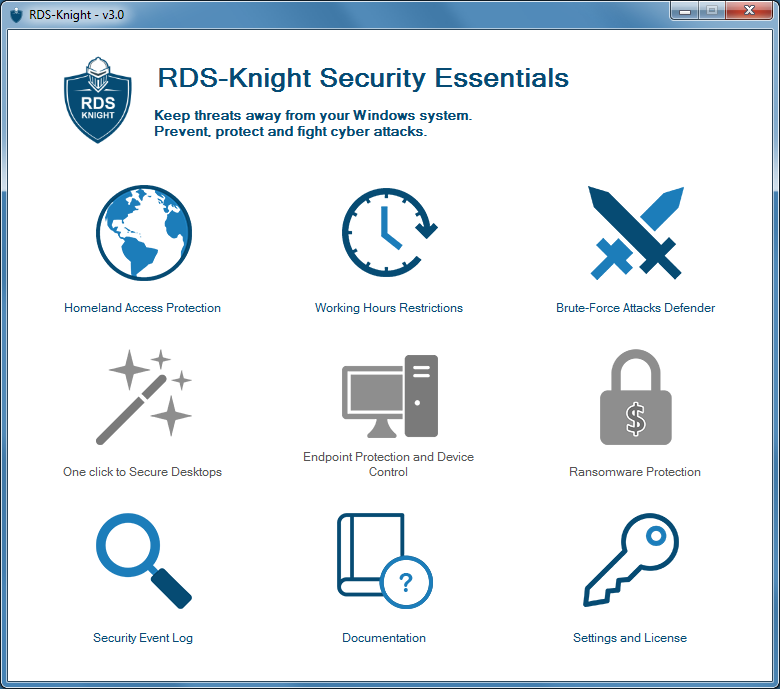 RDS-Knight is the essential toolbox to detect cyber threats, defend RDS servers and develop remote desktop systems’ security. Cyber criminals know you use Remote Desktops. And you need to know your Remote Desktop vulnerabilities to mitigate your risk. The RDS-Knight approach combines advanced technology, expertise, and experience of our Remote Desktop cyber security specialists. Try it now! RDS-Knight will be your secret shield against cyber criminals. Easy-to-use, if is available now at a very affordable price. RDS-Knight Security Essentials will provide an efficient protection to your RDS Servers and fight against hackers and malicious people with three fundamental security features. Prohibit employees to connect at night with time-based control access: with Working Hours Restriction, you can specify the working time of the day when each of your user or group are allowed to open sessions. Use Geo-restriction to protect your RDS servers from any foreign attack, by blocking IP addresses that are not in your white-listed countries. Avoid brute-force attacks thanks to a strong Defender. Step into a more secure world. RDS-Knight makes it so easy and amazingly nice to enhance your security policies. The Events Viewer shows you in real-time all blocked attempts and action taken to keep your RDS Secure. The software is compatible with all Windows versions and systems, 32 bits and 64 bits. Download the right shield for your windows servers now! RDS-Knight is the optimal solution to detect cyber threats, defend RDS servers and develop remote desktop systems’ security. Cybercriminals know you use Remote Desktops. And you need to know your Remote Desktop vulnerabilities to mitigate your risk. The RDS-Knight approach combines advanced technology, expertise, and experience of our Remote Desktop cybersecurity specialists. Try it now! RDS-Knight will be your secret shield against cybercriminals. Easy-to-use, it is available in two different Editions. RDS-Knight Ultimate Protection will provide a full protection to your RDS Servers and fight against hackers and malicious people with five major features for multiple users. 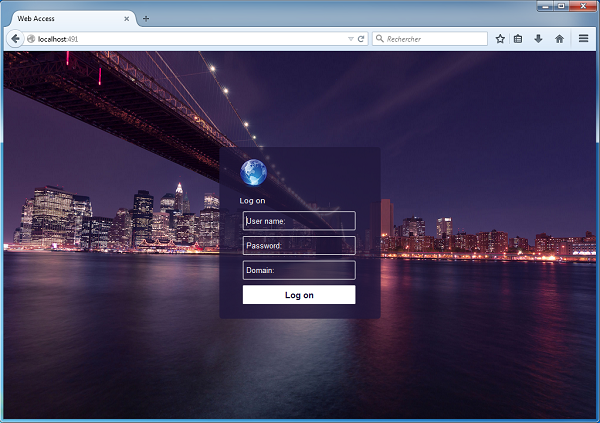 Limit users’ rights policies in few clicks and provide them with a highly secure environment. Restrict the remote access per device and prevent hackers to use a stolen Windows credential to open a session. Prohibit employees to connect at night with time-based control access: with Working Hours Restriction, you can specify the working time of the day when each of your user or group are allowed to open sessions. Use Geo-restriction to protect your RDS servers from any foreign attack, by blocking IP addresses that are not in your white-listed countries. Avoid brute-force attacks thanks to a strong Defender. In Security Essentials Edition are included these 3 last features, which are RDS-Knight’s most powerful protections. This Ultimate edition has been designed as the fundamental security toolbox for every RDS Server with a very attractive price. Step into a more secure world. RDS-Knight makes it so easy and amazingly nice to enhance your security policies. The new RDS-Knight 1.8 release is compatinble with all Windows versions and systems, 32bits and 64 bits. Download the right shield for your Windows servers now at the lowest price ever: $250!